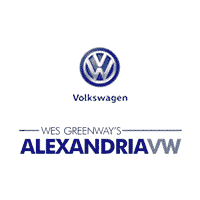 Alexandria Volkswagen offers an easy-to-use payment calculator that allows Arlington area shoppers to get an estimate on an auto loan rate or monthly car lease payments. Quickly find out how much your payments will be for your used Volkswagen Beetle or new Volkswagen Tiguan with our fast and simple car payment calculator. Learn More About Your Car Loan Estimate at Alexandria Volkswagen! Our team is available to assist with any questions you have about your next purchase. Get the estimated lease payments or auto loan for your new or used Volkswagen vehicle in the Washington DC area. Contact us today if you have any questions about our inventory, need financial assistance. Once you’re ready to purchase your vehicle, schedule a test drive conveniently online!